The Oklahoma City Dodgers are a Minor League Baseball team based in Oklahoma City, Oklahoma. The team, which plays in the Pacific Coast League (PCL), is the Triple-A affiliate of the Los Angeles Dodgers. They play at Chickasaw Bricktown Ballpark, located in the Bricktown Entertainment District in downtown Oklahoma City. The team was originally known as the Oklahoma City 89ers from 1962 to 1997 when the team played at All Sports Stadium (now demolished) at the state fairgrounds. It first competed in the American Association (AA) in 1962, moved to the PCL from 1963 to 1968, and returned to the AA from 1969 to 1997. In 1998, the team rejoined the PCL and became known as the Oklahoma RedHawks. In 1999, a minor name change resulted in the Oklahoma City RedHawks. Since the Los Angeles Dodgers purchased a share of the team prior to 2015, the team has been known as the Oklahoma City Dodgers. Oklahoma City won the PCL championship in 1963 and 1965 as the Triple-A affiliate of the Houston Colt .45s/Astros and the AA championship in 1992 and 1996 with the Texas Rangers. Oklahoma City has been home to professional baseball for all but a few years since 1904, when the Metropolitans (Mets) were established as the city's first team. Oklahoma City's teams and names have changed numerous times since. The team became known as the Indians in 1909 before returning to the original Mets name in 1910 and reverting again to the Indians name in 1911. Oklahoma City was home to the Senators in 1912. After one year without a baseball team, Oklahoma City's squad became the Boosters in 1914. The Senators name returned from 1915 to 1916, but the Boosters name came back in 1917. The Oklahoma City Indians name returned in 1918 and the team name stuck until 1957 (the team did not compete during World War II). 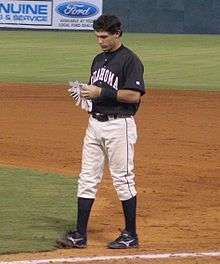 Oklahoma City's current baseball franchise began competing in 1962 as the Oklahoma City 89ers following a four-year period without professional baseball in the area. 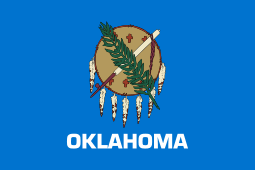 The franchise's original name made reference to the Land Run of 1889, which led to the founding of Oklahoma City. After the Houston Buffaloes of the American Association were purchased for territorial rights by the Houston Colt .45s (later the Houston Astros) of the National League, the big league club decided to move their minor league club elsewhere. In July 1961, Spec Richardson, who was then general manager of the Houston Buffs, met with Oklahoma City officials and boosters, and agreed to move the team. After a unanimous approval from the American Association's board of directors, the current franchise began play in 1962 as the top affiliate of the Houston Colt .45s. Eventually, the Astros sold the team to Tulsa businessman, P. C. Dixon, in November 1970. In 1973, a three-year connection with the Cleveland Indians was established. A later affiliation with the Philadelphia Phillies lasted from 1976 until 1982. In 1983, the Texas Rangers became the parent club, a relationship that would continue as the 89ers adopted new colors and uniforms along with the nickname "RedHawks" in 1998. The city's first professional baseball name change in 35 years corresponded with the team's move to its current home, Chickasaw Bricktown Ballpark, and with the team's return to the Pacific Coast League in 1998. The team was renamed the RedHawks after the red-tailed hawk, a bird of prey commonly seen throughout Oklahoma. When announcing the new name, team officials noted the raptor's four-foot wingspan and migration patterns, which always return the bird to Oklahoma. A hawk is also part of the state's official song. Prior to the 2009 season, the team once again named itself after its home city. The minor renaming was accompanied by new logos and a new color scheme. The team's name change to the Oklahoma City RedHawks was made to honor Oklahoma City citizens who paid for the ballpark through a temporary one-cent sales tax to fund the Metropolitan Area Projects Plan or MAPS. On September 14, 2010, the Texas Rangers ownership announced that they were moving their Triple-A affiliation to the Round Rock Express (formerly the Astros' Triple-A affiliate). On September 15, the RedHawks were sold to Mandalay Baseball Properties, which also owns or operates four other Minor League Baseball teams, and is part of the Mandalay Entertainment conglomerate chaired by entertainment industry executive Peter Guber. On September 20, Mandalay entered into a formal agreement for the RedHawks to become the Astros' new Triple-A affiliate. After the 2015 season, the RedHawks announced the sale of the franchise to a partnership between Mandalay Entertainment Chairman and CEO Peter Guber, other current principals of Mandalay Baseball Properties, Jason Sugarman, and the Los Angeles Dodgers. As a result of the purchase agreement, the RedHawks became the Triple-A affiliate of the Dodgers in 2016 and were renamed after their parent club, becoming the Oklahoma City Dodgers. Luis Mendoza pitched a no-hitter for the RedHawks on August 14, 2009. Pitchers Dustin Nippert and Luis Mendoza recorded the two no-hitters in team history (since 1998). Nippert recorded the RedHawks' first no-hitter on June 29, 2008, at Johnny Rosenblatt Stadium in Omaha, Nebraska against the Omaha Royals. The Redhawks won the seven-inning game, the first of a doubleheader, 2–0. Nippert walked two batters and struck out five in the first Oklahoma City professional baseball no-hitter since August 13, 1996, when Rick Helling recorded a perfect game for the 89ers). Six players have hit three home runs in a single game. Adrian Gonzalez became the first to accomplish the offensive feat on May 24, 2005, at Albuquerque. He went 3-for-4 with five RBI. All three of Nelson Cruz's hits on July 19, 2008, against Memphis were home runs. He went 3-for-5 with five RBI in the game. Nate Gold went 4-for-5 with three homers and four RBI on July 28, 2008, at Colorado Springs. Chad Tracy hit three homers on June 27, 2010, against Omaha, finishing the game 3-for-3 with five RBI. Mike Hessman went 4-for-4 with three homers on June 3, 2012, against Iowa. Matt Duffy went 3-for-4 with three homers and three RBI on June 9, 2014, against Salt Lake. The 2013 Redhawks made numerous entries into the club's record book. The RedHawks set the team record for most runs scored in a game at Chickasaw Bricktown Ballpark and tied the club record for most runs scored in a game overall in a 24–5 win against Colorado Springs on August 3, 2013. The 2013 squad also compiled the longest overall and home winning streaks in club history. The RedHawks won 12 straight games overall from July 26 to August 6. They continued winning at home, stringing together 17 consecutive wins at Chickasaw Bricktown Ballpark from July 26 to August 20. The Dodgers broadcasts their games on the radio on 1340 The Game. The team has had multiple broadcasters who advanced to the major league level. ↑ Rohde, John. "Back where they started". The Oklahoman. April 12, 1998. p. 106. ↑ "O.C. Might Decide AA Question Friday". Miami News Record. July 12, 1961. p. 3. ↑ "Oke City Seeks Pro Franchise". Lawton Constitution. July 14, 1961. p. 18. ↑ "Buffs' AAA Franchise Goes to Oklahoma City". Baytown Sun. July 16, 1961. p. 9. ↑ "Oklahoma City is Admitted to AAA Ball Loop". Miami News Record. July 18, 1961. p. 5. ↑ "Houston Astros Sell Ball Team". Mexia Daily News. November 12, 1970. p. 11. ↑ Hersom, Bob. "Bye 89ers; Hello Oklahoma RedHawks". The Oklahoman. Sep 9, 1997. p. 1. ↑ Patterson, Matt. "RedHawks to unveil new logos and colors." NewsOK. August 22, 2008. Retrieved on September 26, 2008. ↑ Patterson, Matt. "New name, look for RedHawks". The Oklahoman. April 26, 2009. p. 4F. ↑ Cohn, Alex. "Nolan Ryan And Rangers Nab Round Rock, Houston May Relocate Triple-A Team To Nashville." SB Nation. September 14, 2010. Retrieved on September 14, 2010. ↑ Zachary Levine, "Astros cultivate farm system: Oklahoma City signs 2-year deal as AAA affiliate", Houston Chronicle, September 21, 2010. ↑ David Falcheck, "Mandalay buys Oklahoma RedHawks franchise", The Times-Tribune (Scranton), September 23, 2010. ↑ "RedHawks Announce Sale of Franchise". September 17, 2014. Retrieved September 17, 2014. ↑ Wild, Danny (June 29, 2008). "RedHawks' Nippert Tosses No-hitter". Minor League Baseball. Retrieved August 12, 2015. ↑ Kelley, Mason (August 15, 2009). "RedHawks' Mendoza No-hits Bees". Minor League Baseball. Retrieved August 12, 2015. ↑ Ed Godfrey, "OKC RedHawks: Mike Hessman is the RedHawks' version of Crash Davis", The Oklahoman, June 5, 2012. ↑ "RedHawks tie team record in 24–5 win", The Oklahoman, Aug. 3, 2013. ↑ Mike Baldwin, "OKC RedHawks: RedHawks' 17-game win streak at home snapped", The Oklahoman, Aug. 26, 2013. Wikimedia Commons has media related to Oklahoma City Dodgers.